As the start of the Memorial Day Weekend got underway summer like temperatures made a return to the High Country. 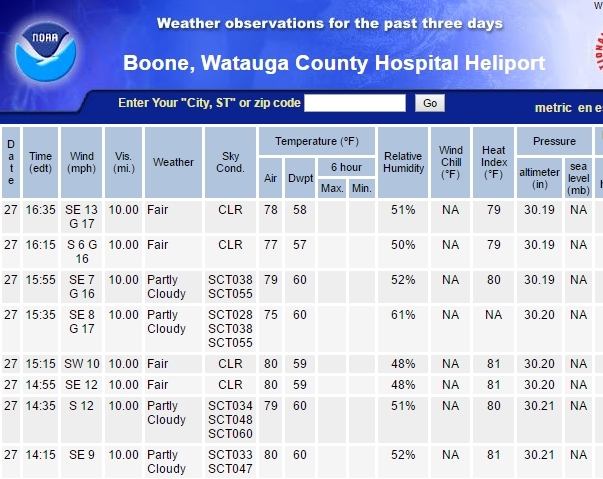 The Watauga Medical Center weather reporting station recorded 80 degrees three times on Friday (May 27, 2016), with the first occurring at 2:15pm. That's 17 days earlier compared to 2015 in reaching the mark. Temperatures are forecast to be just a bit cooler for the rest of the weekend as rain moves in.